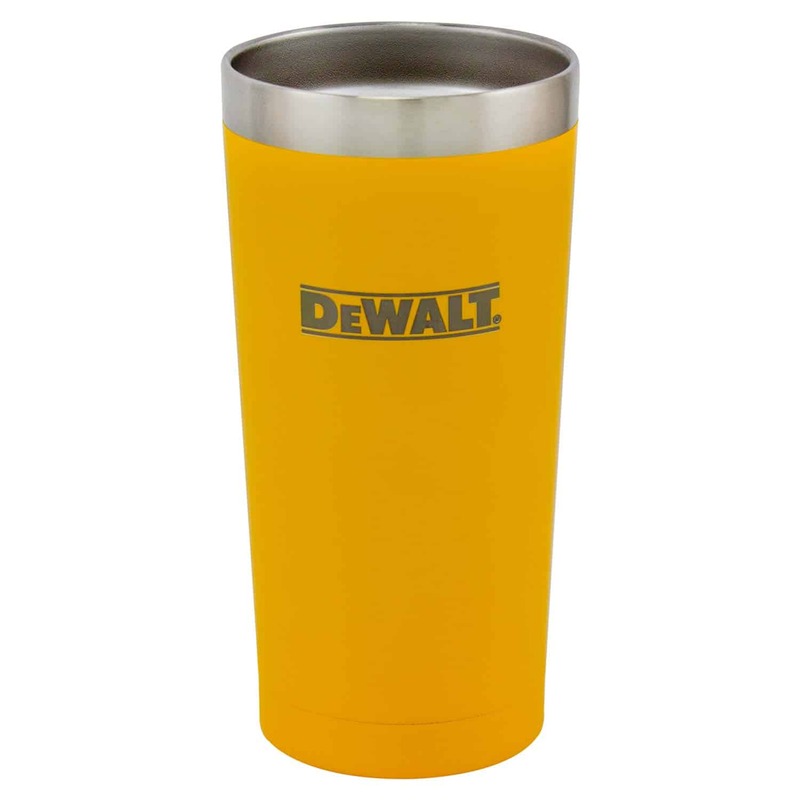 Our DEWALT 20 oz Tumblers keep you hydrated wherever life takes you. 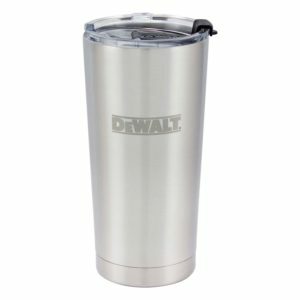 Ideal for work or on-the-go, the durable quality of 18/8 Stainless Steel body is built tough. 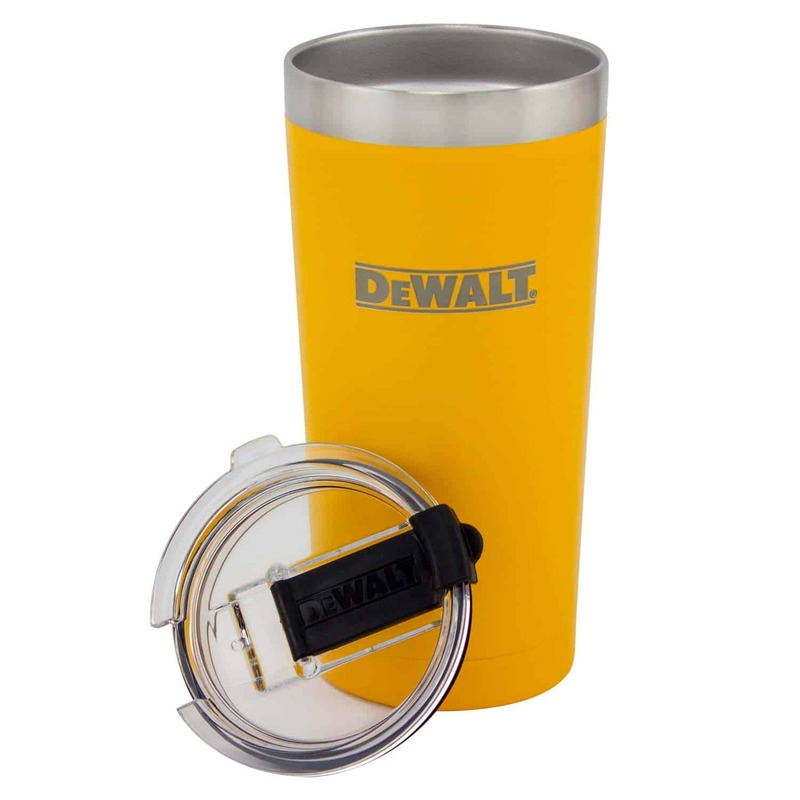 The dual-wall vacuum insulation will hold its internal temperature longer, which will prevent condensation and heat transfer to the outside. 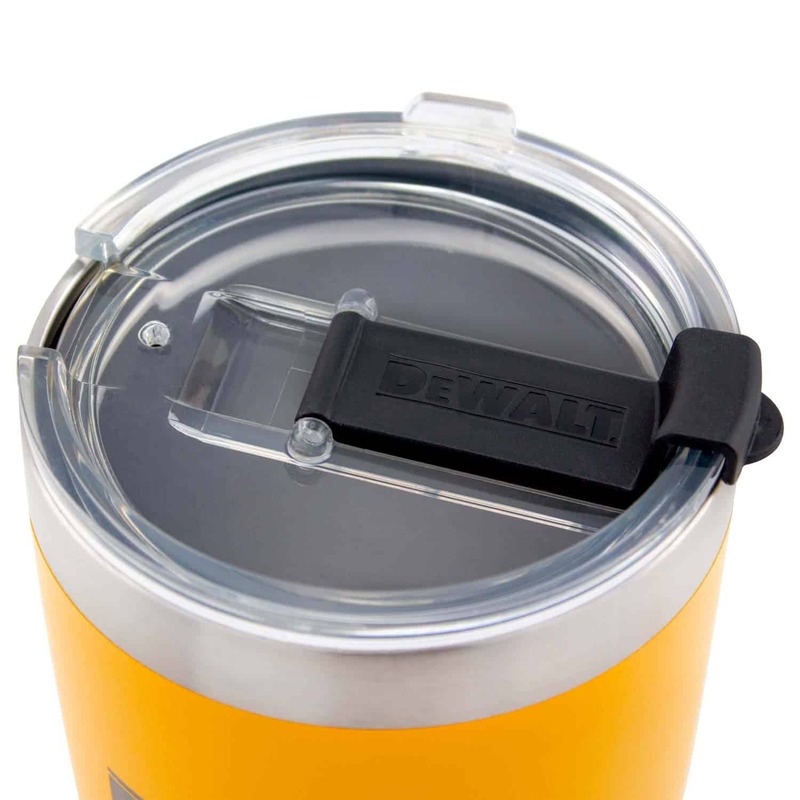 The clear, BPA free lid is drink straw friendly and features a flip-top closure that snaps into place ensuring a spill-free drink time. 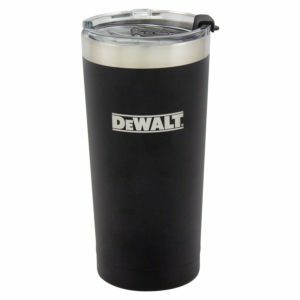 Available in standard 20 & 30 Ounce sizes that fit most cup holders for safe travel. 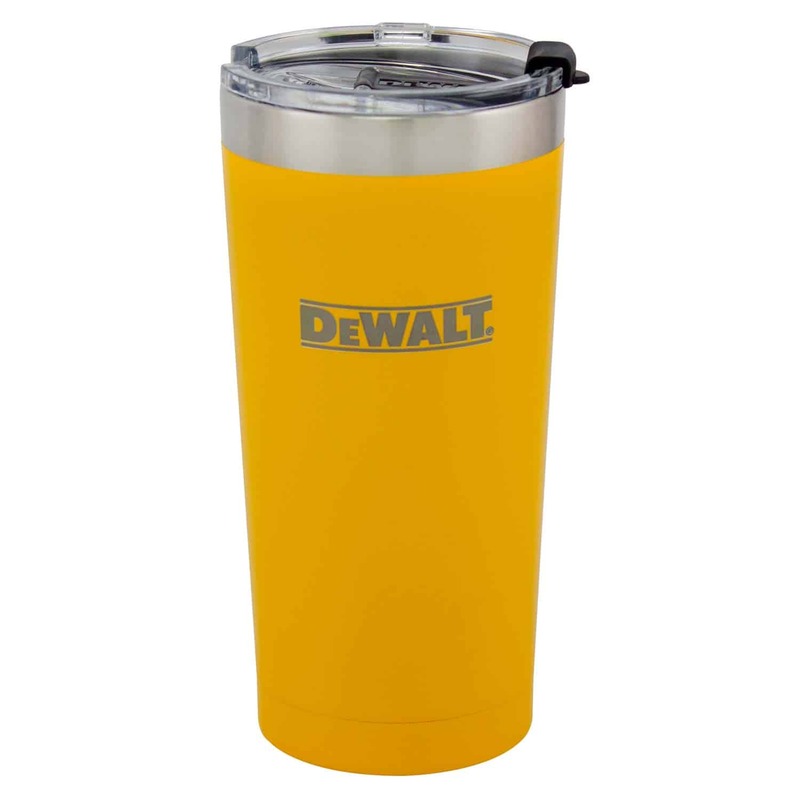 Available in 3 colors: Stainless Steel, Powder Coated DEWALT Yellow, and Powder Coated Black. 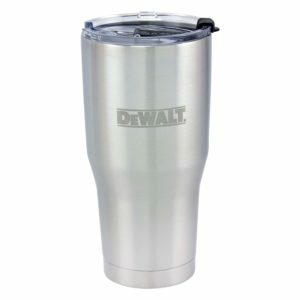 Hand wash and dry only. 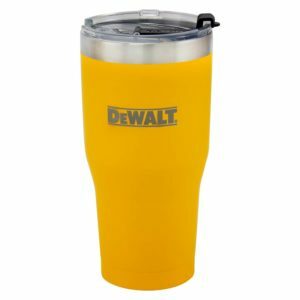 Hydration that’s built to last and keep your drinks hot or cold longer with DEWALT Industrial Drinkware.